Stand out from the crowd with the Estella Bartlett Pouch XOXO in vibrant coral. Chic and stylish, the Coral Pouch from Estella Bartlett is embossed with a discreet XOXO in gold letters on the front and a matching gold zip. 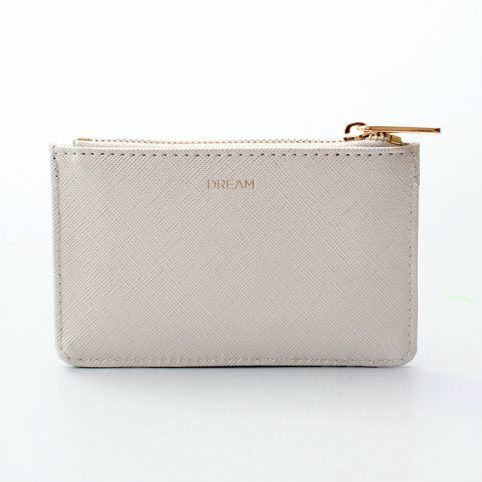 Use the zip pouch from Estella Bartlett as a clutch on a night out or a cosmetic bag for your everyday makeup. Categories: Accessories, Bags & Purses, Brands, Clutches, Gifts, Gifts For Her, Gifts From £10 - £20, NEW, Purses, Makeup Bags.